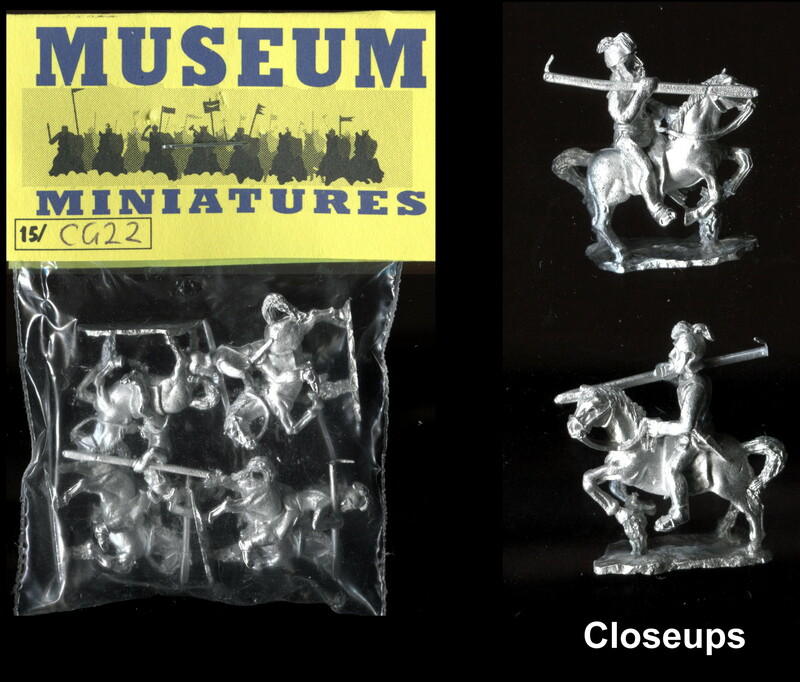 Unpainted 15mm white metal models manufactured by Chariot Miniatures, Luton, Bedfordshire, UK. This range is now supplied by Magister Militum, Wiltshire, UK. This pack is original production from Luton. CEN2 Armoured centaurs firing bow. Three similar models. The figure wears a helmet and chainmail armour to the front of the horse. He has a quiver slung on his back. The model is 23mm tall to the top of the human head and measures 26mm long from the bow to tail. The picture of the painted models is taken from pictures on the Magister Militum website.